Ladies and Gentlemen, Kids of All Ages, welcome to the latest edition of outdoor gear giveaways. In this installment there are several great prizes to get in on. Anything from hiking books, t-shirts, sleeping bags, and fishing gear. If any of this sounds enticing to you then let's not delay any longer. First in the list today, Brian Green of Brian's Backpacking Blog is giving away a set of Kupilka gear. 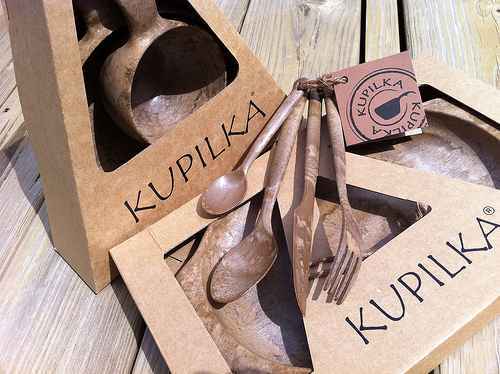 The set includes the Kupilka 21 Cup, Kupilka 55 Bowl, Kupilka 44 Platter, and Kupilka Cutlery set. The criteria for this giveaway is listed on Brian's Blog so head over and get in on this great give-away opportunity. You only have until April 30th to get your name in the drawing. The next featured giveaway is happening over at our crazy fisherman friend's blog OwlJones.com. Owl is giving away a nice Fly Rod, Reel, hat and more in a great package. You can get all the details of the prize package and what you need to do to get in on the fun at his blog. You have until May 6th on this one. In the same vein of fishing, fly fishing to be exact, our friends Rebecca and Joe at the Outdoor Blogger Network, have another fantastic gear review opportunity for the fly fishers out there. This week they have some camo fly gear from the Montana Fly Company. 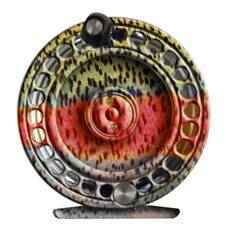 Up for grabs is a fly reel and a fly box. There's one restriction on the gear review opportunities over at the OBN, you must have an Outdoor blog, and you must be a part of the OBN blog directory to enter. You have until Sunday April 10th to get in on this one. Jim @ The Husky Hiker has a book out, "Best Easy Day Hikes: Berkshires " and is giving away a copy to one lucky winner. You just need to head over to the blog and comment on the giveaway post where your favorite day hike is. You better hurry too, he picks the lucky dog on April 10th. The Hiking Lady is at it again. This time she's managed to get Eureka! 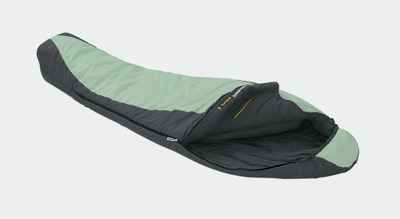 to giveaway one of their Casper 15 Degree Sleeping Bags . You just have to head to Eureka's facebook page and leave a wall post. Check out the Hiking Lady's blog to get the right phrase. You only have until April 13th to get that post on the wall. Finally at the Hiking Boots blog, they recently reviewed the Hi-Tec Men’s Salt Creek Shirt. They were so impressed that they've decided to give one away. The lucky winner has until April 19th to enter, so head over to their blog to get the scoop. That's all we have for this edition, so hurry and get to entering before you miss out. There's plenty of great opportunities out there. If you know of any others, drop us a line at appalachiaandbeyond (!at) gmail (!dot) com. We will feature them in our next gear-giveaway roundup.